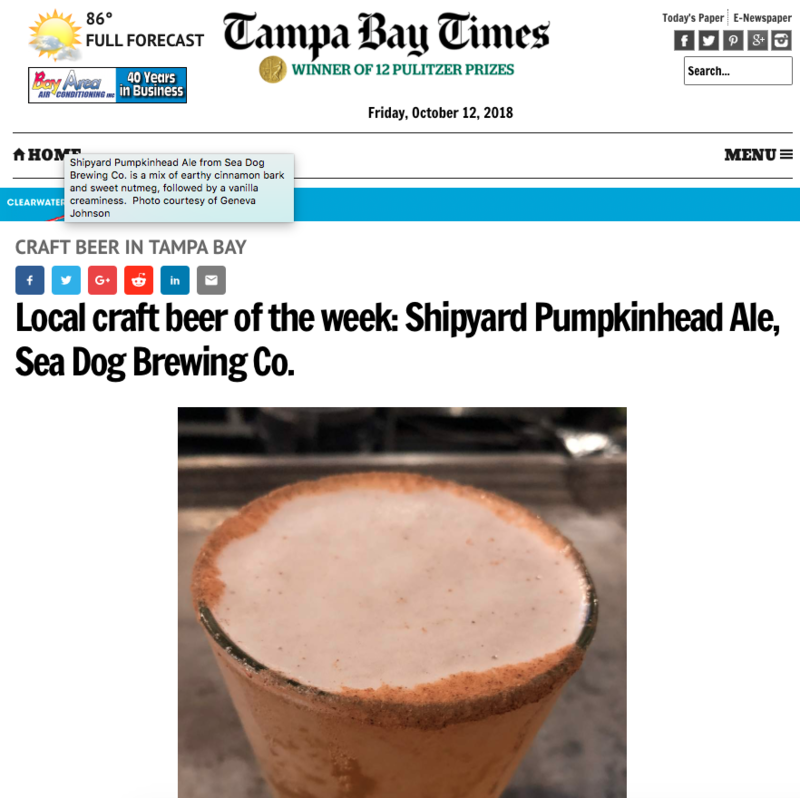 Local craft beer of the week: Shipyard Pumpkinhead Ale, Sea Dog Brewing Co.
October is the month where we stop complaining about seasonal creep and unapologetically enjoy the many pumpkin beers that have been on the shelves since late summer. Maine’s Shipyard Brewing Co. is one of the oldest players in that game, with its seasonal Pumpkinhead wheat ale — a beer that was first brewed in 1995. Since then, Shipyard and Sea Dog Brewing Co. have joined forces and expanded into the Southeast, opening a Sea Dog brewpub in Clearwater, as well as a new location on Treasure Island. Brewmaster Robert Baker (nickname: Bobby Brewer) produces local Shipyard and Sea Dog brews at the former, including a variety of adventurous pilot batches available only at these two taprooms. In October, however, you’re obligated to order a pint of Pumpkinhead, served the traditional Shipyard way: with a cinnamon- and sugar-coated rim. While this would be overkill for many of the sweet, syrupy pumpkin beers on the market, Pumpkinhead is actually surprisingly light: a pale wheat ale fermented with English ale yeast and flavored with cinnamon and nutmeg. The beer’s clear, golden appearance belies its festive spiciness: a mix of earthy cinnamon bark and sweet nutmeg, followed by a vanilla creaminess. The beer’s malt bill shines through, with an addition of Munich light adding an extra layer of depth that plays well with a prominent wheatiness. Pumpkinhead may be a genre classic, but this light, refreshing pumpkin ale is far from typical. 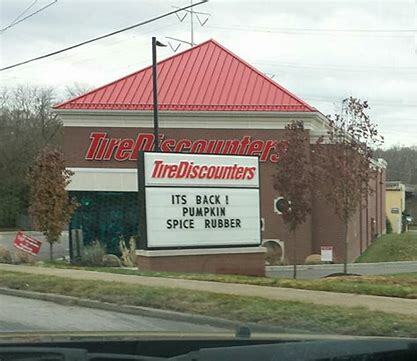 Pumpkin WHAT?! Have These Brands Gone Too Far?